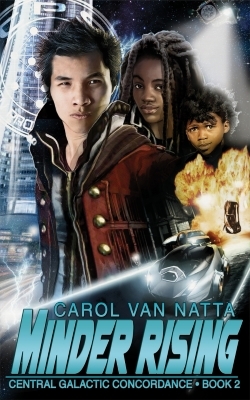 MINDER RISING (May 2015) by Carol Van Natta is book two in the author's Central Galactic Concordance series. I read the first book, OVERLOAD FLUX, and was very pleased by the discovery. If you like complex worldbuilding, police procedurals, mystery, superhuman elements, slow-burn romances on the sweet side, and diverse ensemble casts, then this is a series you might want to check out. For more information about MINDER RISING and the Central Galactic Concordance series, click here.